May Celebrates Our First Magazine Feature! 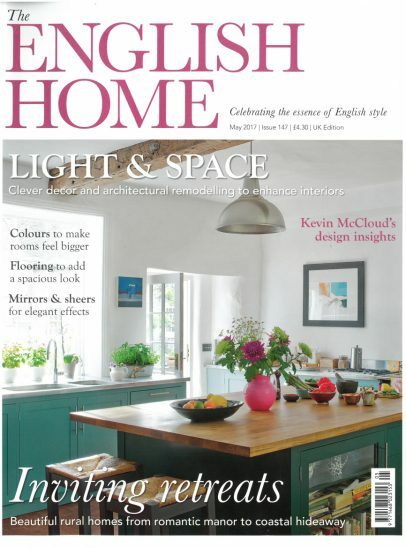 If you have not already picked up a copy of the leading interiors title, The English Home, Kindred are featured within May's issue that covers Light & Space with tips and tricks to enhance your interiors. Within this issue is a fantastic 29-page special feature, that includes our Origin – Style 4, featured in Partridge Grey with a natural Oak handle. To create the perfect wardrobe, we believe the planning starts from within. This style has been cleverly designed as a Children’s perfect (yet no so secret) hideout. 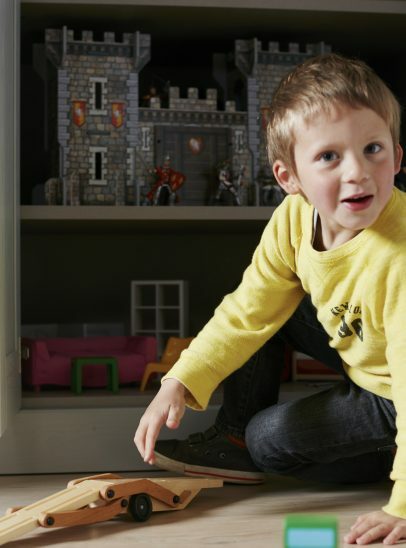 To make sure every single toy has a home we incorporated room for a mini playhouse, perfect for maximising storage in limited spaces, without compromising on style. 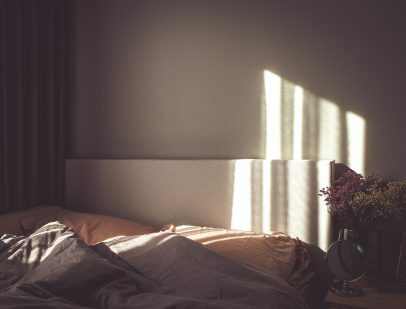 With the mix of of green and blue, light timber and grey tones, this is a room that can develop with time. 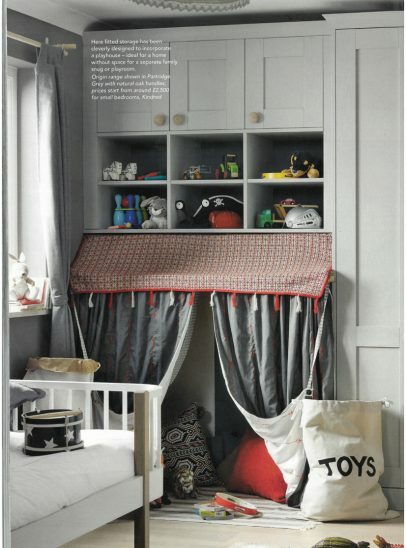 We added theatrical curtains and soft cushions, creating the perfect space to let your child explore their creative side. Our elegant range of classic chests can compliment any bedroom style without compromising on space. 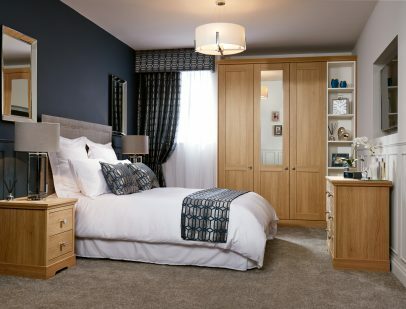 These beautifully crafted pieces of furniture can integrate with the wardrobes or stand alone. We also have wardrobe internals which have been carefully considered to work around your needs. Available in walnut, oak and linen finishes, choose from stackable drawers, accent shelves, drawer organisers, shoe storage and pigeon units. Alternatively, make your only bespoke internal solution that is perfect for you. Clever, flexible and beautiful in design, we can create storage systems to work around your needs.